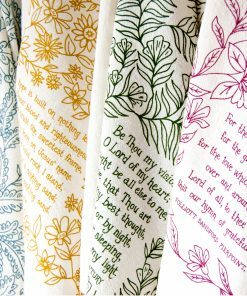 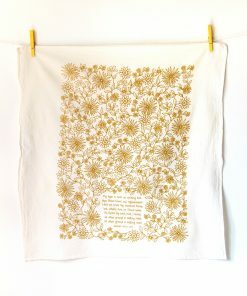 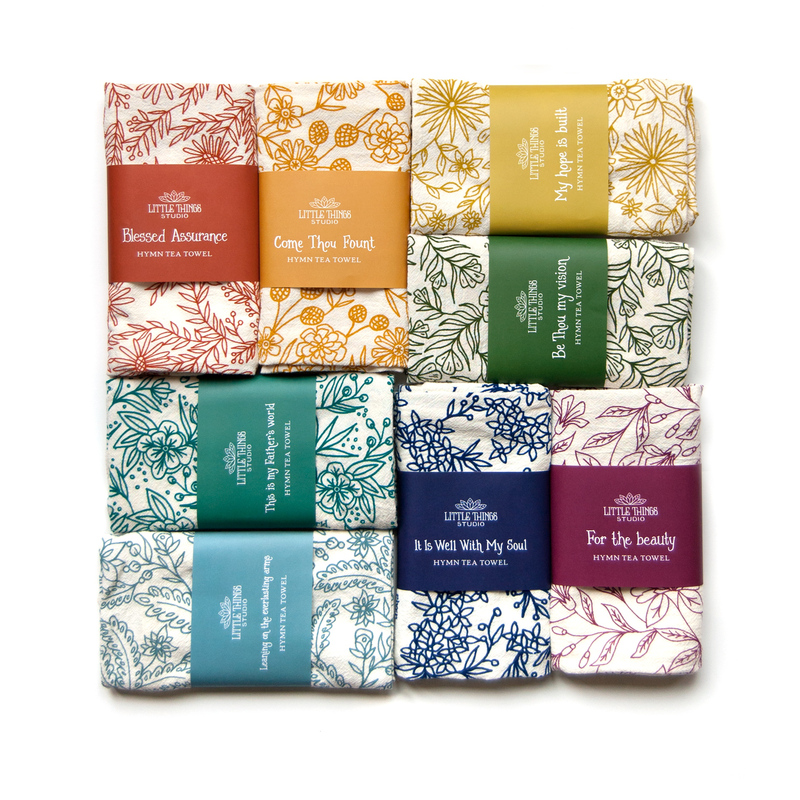 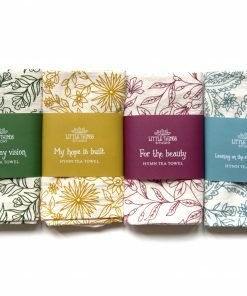 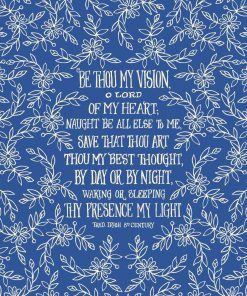 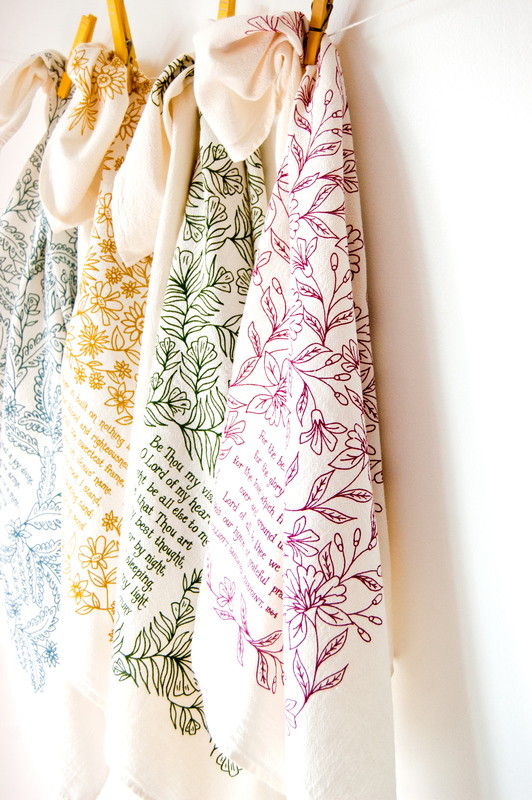 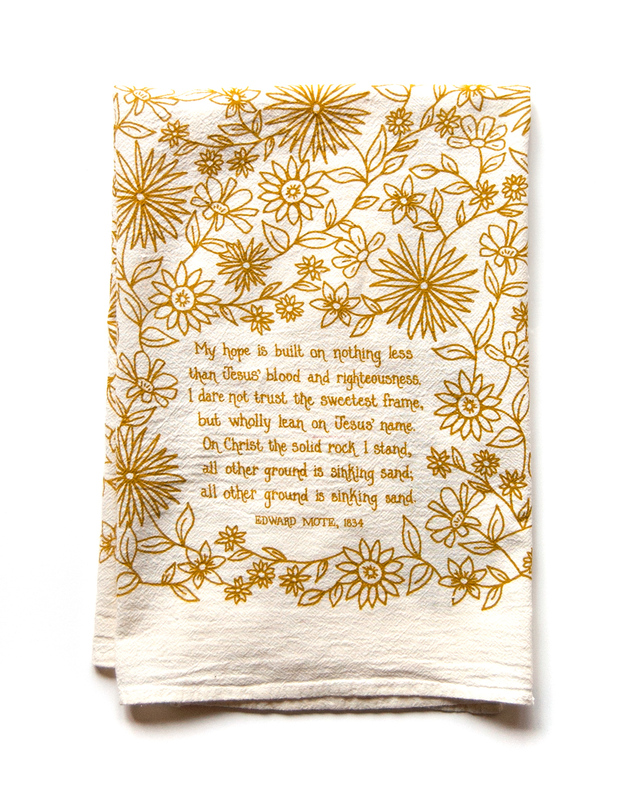 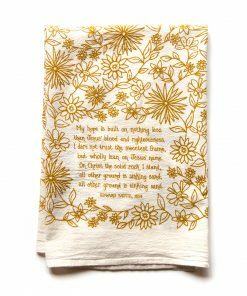 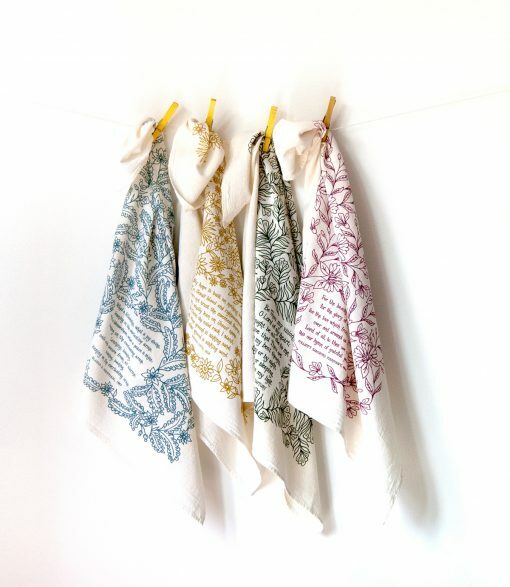 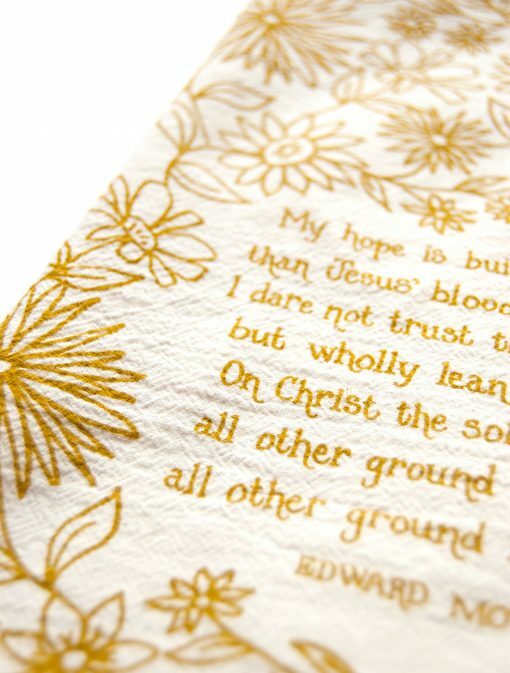 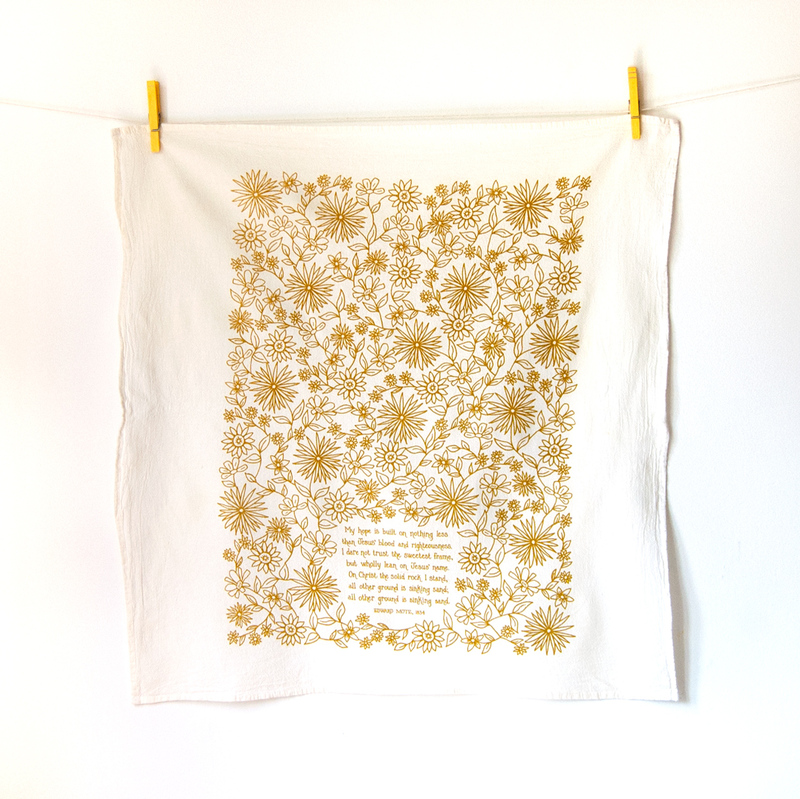 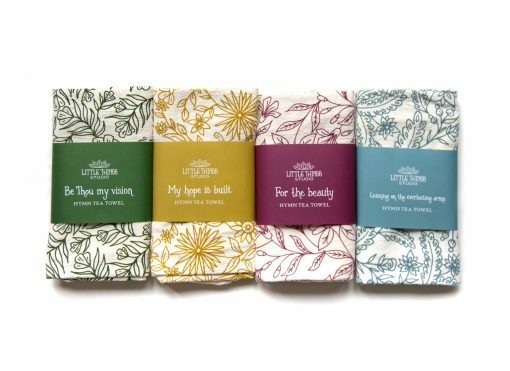 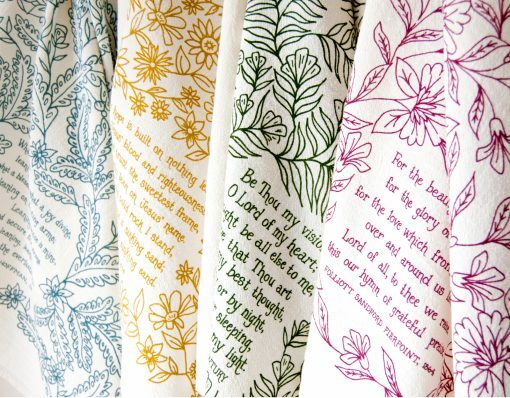 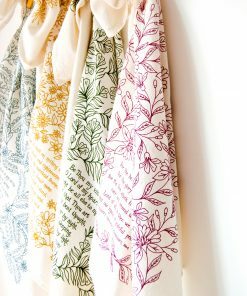 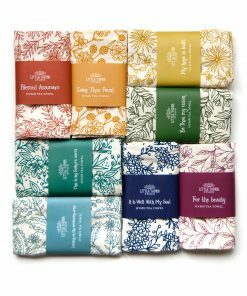 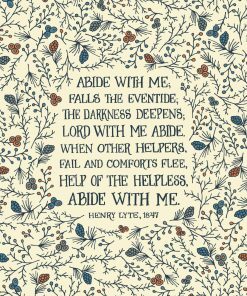 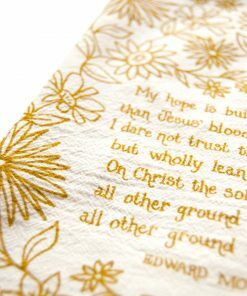 My Hope is Built with floral design printed in gold on a 100% cotton tea towel. 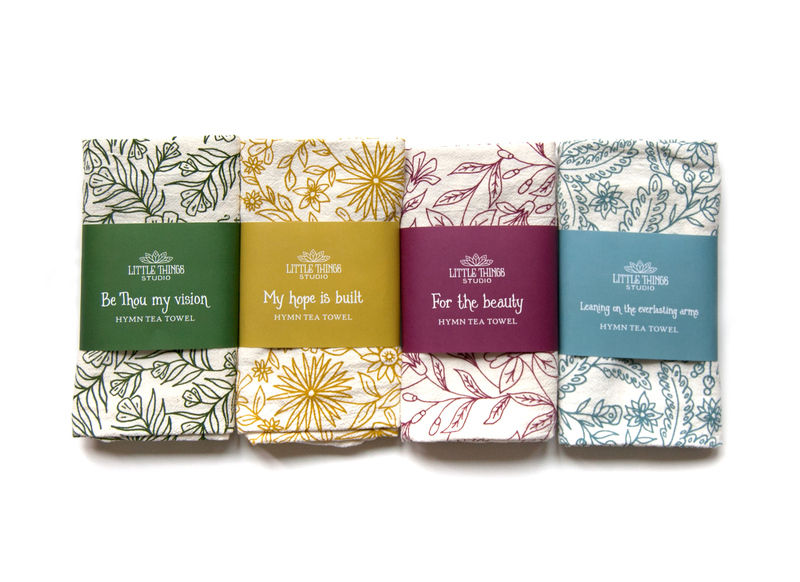 Comes folded with a belly band for gift-giving. 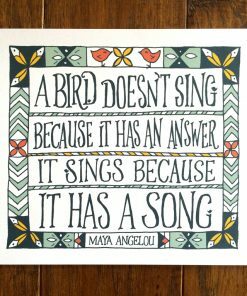 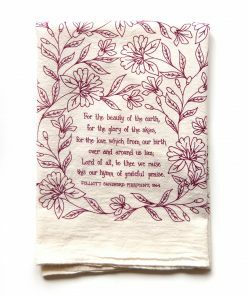 This tea towel looks lovely when folded to display on your sink or oven. 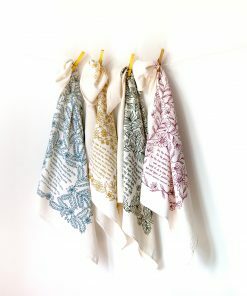 But, for those of us who just throw our towels on a hook, the tea towel still looks pretty unfolded!